Stout two-year old Hereford bulls at the Ridder Sale. 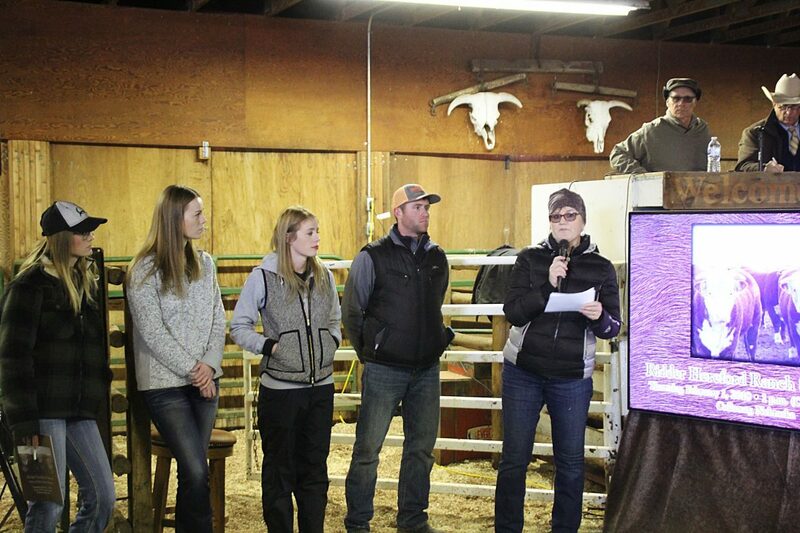 Mary Ridder, right introducing the family at the Ridder Herefords Sale. Ridder Hereford Ranch hosted their annual production sale in their sale barn at the ranch near Callaway, Nebraska, for their North Star Bulls and Starlette heifers. This is the Ridder family's 111th year of ranching west of Callaway. 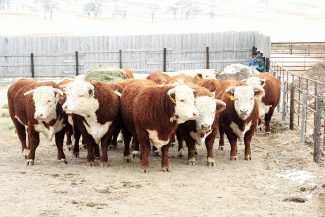 Topping the yearling bulls was R 4105 North Star 3E, selling for $10,000 to Wemhoff & Son, Belgrade, Nebraska. R 4105 North Star 17E sold for $8,500 to Ted Johnson, Raymond, NE. R 4105 North Star 11E sold for $8,000 to Knippling & Sons, Gann Valley, S.D. R 4105 North Star J 34E sold for $8000 to Don & Kevin Klein, Roseland, N.D.
High selling two-year-old bull was R 3203 North Star ER 69D, selling for $8,000 to Knippling & Sons. 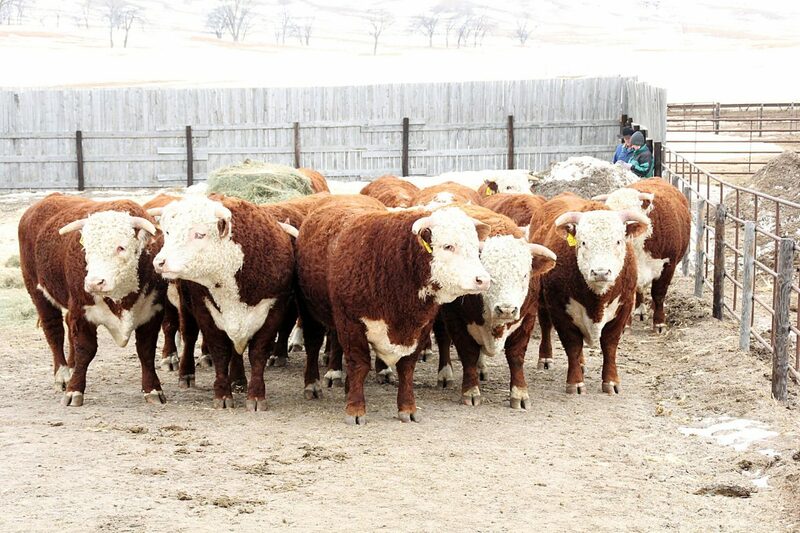 R 4105 North Star T 26D & R 330A North Star 36D each sold for $7,000 to Arrow C Ranch, Ravenna, Nebraska. R 4067 North Star 55D sold for $7,000 to Randy & Clint Bentley, Miller, Nebraska. Topping the heifer sale was R Starlette 713 for $2,900, selling to Aaron Bock, Beatrice, Nebraska. R Starlette 703 sold for $2,800 to L Bar W, Absarokee, Montana.